Watering: Keep soil slightly moist. Can become dry regularly. Needs less water during the winter. Water with filtered water. I water mine every three to four days with just enough water to moisten the soil. Temperature: Ideal between 65°- 75°F (18°- 24 °C). They will live through much colder temperatures during winter (as I have observed), but keeping them in optimal health requires the room to be no less than 50°F (10°C). Light: Bight light is good, but direct sunlight can damage the leaves. Air Humidity: Normal household humidity is fine. Misting the leaves is advised. They like fresh summer air from an open window, but not stuffy-hot rooms from heating systems. Propagation: Cutting and re-planting stem cuttings a couple of inches long. Apply root hormones and give it a few weeks for them to begin rooting. Re-Potting: These can be re-potted every two years during spring if needed. They seem to do okay with becoming root bound. Do not put into an over-sized pot. Soil: Likes peaty, loamy soil with good drainage. Grooming And Pruning: You can remove old leaves that are ready to fall from the bottom of the trunk which will make it look more attractive. Brown leaf tips: Dry air, cold drafts or under-watering. Brown soft leaves: Too cold. Brown spots on leaves: Lack of water. Bottom leaves becoming yellow: This is normal. The plant is shedding lower leaves to allow new growth. Watering: Refresh water every seven to ten days. Keep wet continually. Use clean, filtered water. In a pinch, let tap water sit out for twenty-four hours before use. Misting: To improve humidity mist the leaves frequently, such as whenever watering other plants that need watering on a more regular basis. Temperature: Warm room temperature's and above are advised 65°F (18°C) - 90°F (32°C). Avoid lower than 55°F/12°C in the winter. Light: In it's natural habitat the lucky bamboo grows under the cover of shaded trees, so place your plant in a bright spot without direct sunlight. Soil: A well draining potting soil or stones. Fertilizer: Feed with a diluted fertilizer about once a month in water or soil. If your plant sits within water then it will need just a drop added to the water. 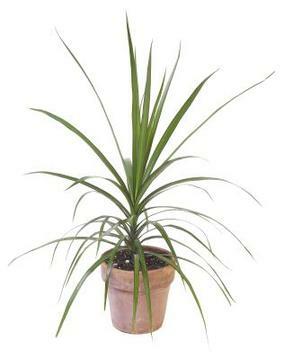 Re-potting: Re-pot a plant living in soil when it becomes pot bound or every 2 years. 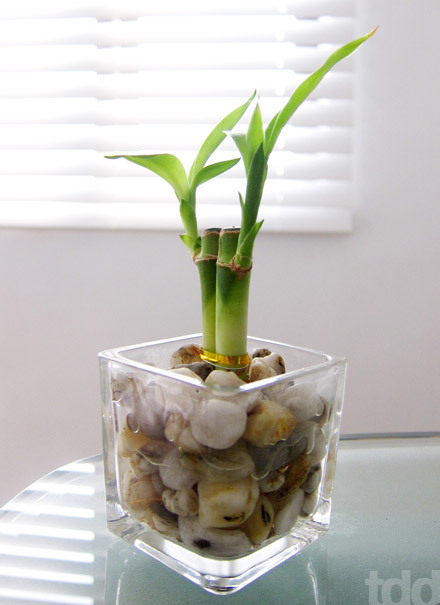 If your plant sits in water with pebbles at the bottom for stability, re-pot to a bigger container once the previous one becomes too small and when the pebbles and container need cleaning. Cleaning the water container will prevent bacteria problems. Propagation: Choose and cut the biggest shoot (or shoots) available on a stalk and remove the lower leaves from the shoot. Cut the shoot about one inch away from the stalk. Sit your stem cutting in water for about 3 months until roots appear and then pot in soil. Yellow or brown leaf edges: Too much chemicals in the water (fluoride, chlorine or others), direct sunlight, overly dry air, or too much fertilizer. Stalks becoming soft and/or yellow: The bottom of stalks can become soft and mushy or yellow for a variety of reasons, but it's often water related. The stalk is already dead or near death and will need to be separated from the other stalks and thrown away. Remove this stalk as soon a possible so it does not affect healthy stalks. Water: It's best to allow the soil to become dry between each watering which will depend on the time of year, humidity level and amount of sunlight. Allowing too much water to sit at the bottom of the pot with the roots will cause them to rot, which is a problem I've had. Definitely be sure not to over water! For mine, it seems a slight dampening of the soil with about a quarter cup of water every four to seven days is plenty. Humidity: They survive well in humid conditions. Occasionally misting them is recommended, but be sure the plant fully dries out in sunlight or it will rot. 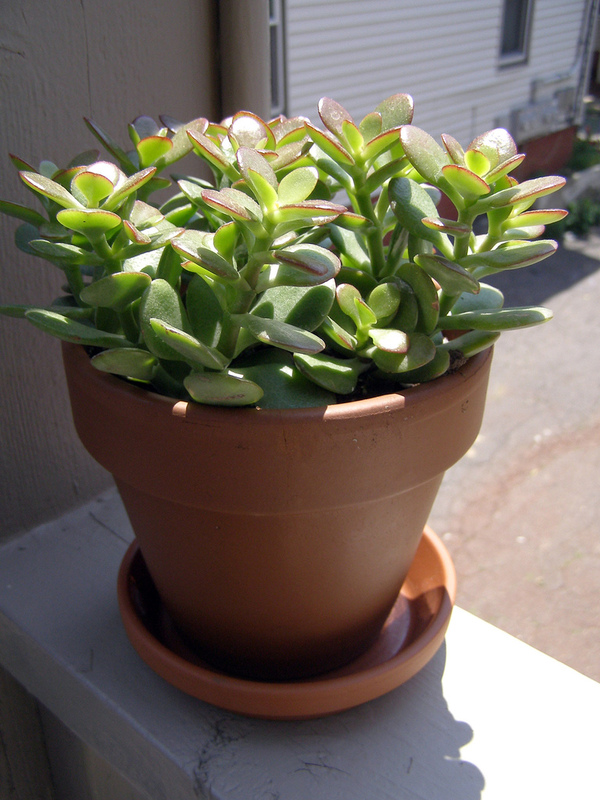 Light: The jade plant flourishes in sunlight. Be sure to place in a window that gets sunlight for at least an hour a day. More hours is better. I learned this the hard way with mine! Soil: Well-draining, gritty, and sold for cacti and succulents. Fertilizing: Feed each bi-weekly with a very weak or diluted liquid fertilizer. Re-potting: Re-pot in spring or summer, when the plant becomes root bound or the soil needs renewing. A solid, heavy pot is recommended because Jade plants are well known for being top heavy. Propagation: Use leaf or stem cuttings which have dried on a window sill for a day or two. Then place them into an appropriate potting mix. Watering: Keep soil moist at all times. Use clean, filtered water. Water less right before winter and during winter. Mist regularly, preferably daily. Humidity: Humidity needs some attention with Calatheas. Misting helps, but you may also need to place the plant pot on a humidity tray with pebbles or increase the humidity with a humidifier. Temperature: Average room temperatures of 65-75ºF (18-24ºC) are suitable, and no lower than 60ºF (15ºC). Sudden temperature drops and cold drafts should be avoided. 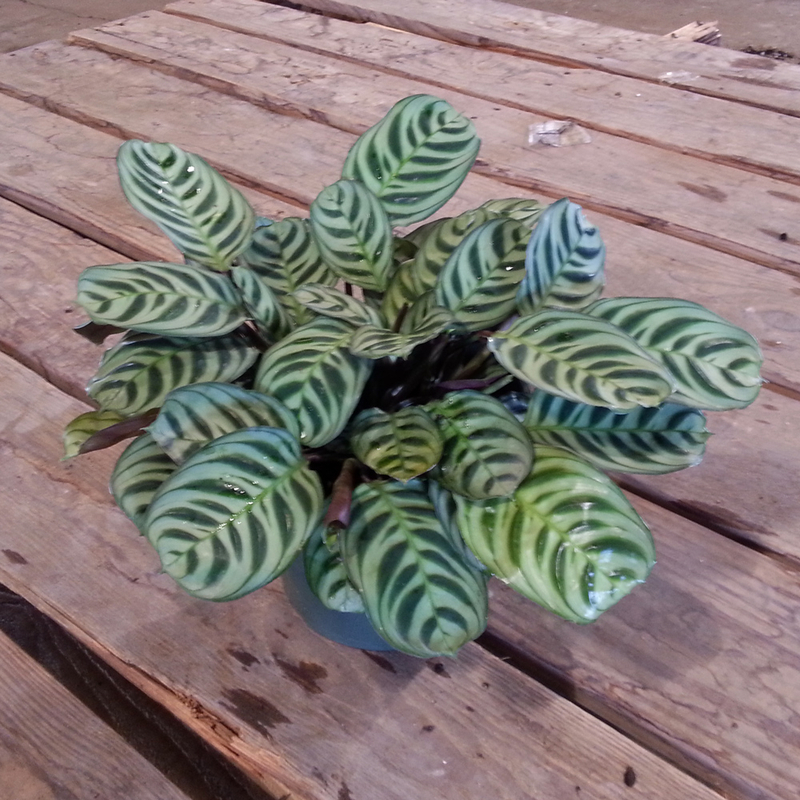 Light: Calathea enjoys bright light without direct sunlight. Soil: A peat-based potting mix is required. Two parts peat and one part perlite works. Fertilizer: Fertilize with a balanced, diluted solution every two weeks from April through October. Re-Potting: Re-pot during spring every two years. Use only a slightly larger pot if the roots have taken all the room with the current pot. Leaves curling and spots: Under-watering. Keep soil moist. For my plant, I've found that keeping the pebble tray under the pot wet at all times is important. Leaf tips brown or leaves dropping: Dry air, lack of humidity. Limp stems: You may have been over-watering the plant during the winter and providing low temperatures. Watering: Water every five to seven days with about a quarter cup of water. To ensure the water is delivered slowly, you can use three ice-cubes. Or using a measuring cup and slowly pour around the base of the plant. During summer water every five days, during winter, you can go as long as twelve days between watering. Phalaenopsis orchids like to become nearly dry between watering. Fertilization: Fertilize once a month. For mine, I made a blend of a little black tea, banana and rice in my blender with a lot of water and then made ice-cubes out of this. I give mine one of these ice-cubes every two weeks in addition to a little water. Blooming: If your plant has healthy, thick, green leaves that have not become wrinkled or drooping, cut the old flower stem up high, just above a "node" and just below the lowest bloom. The plant will frequently send out a new flowering branch at that location. If your plant has thin, wilted leaves, or if the plant is small, with only 3-to-4-inch-long leaves, it is best to cut the flower stem all the way down, so that the plant does not weaken itself by blooming again right away. Light: Leafy color generally should be bright green, not dark green. Dark green means too little light. Reddish green means too much light. 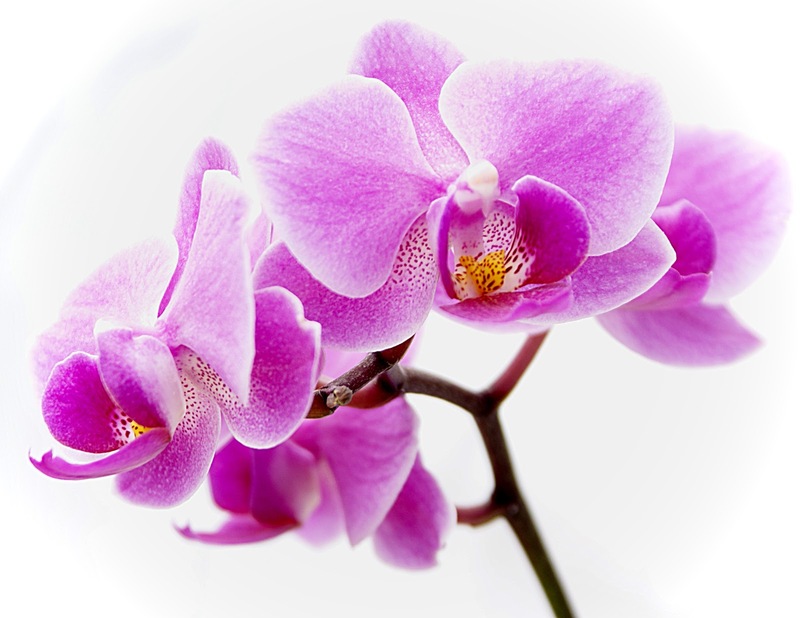 Ideally, put next to a bright window with sheer curtains to protect your orchid from direct sun. Black blotches mean sun burn! Re-potting: Every two years. If roots are growing over the edge of the pot, that is an indication that your orchid could use re-potting. Pot style: Supposedly the orchid likes tinted glass pots because the green roots actually use some sunlight. Water: A lot! Keep soil continually moist (but not drenched). Allowing it to dry at the top is fine, but the pot should never become light from overly dry soil. 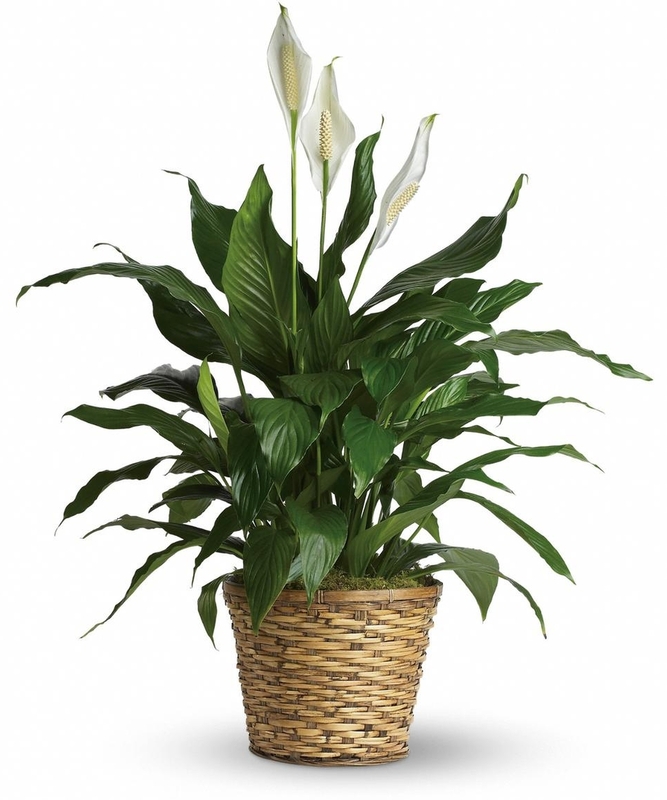 I like to keep a watering pitcher beside my peace lily and give it water throughout the day in small doses. I'm very fond of mine and think kind thoughts at it regularly. Mine started to develop a little white-looking leaf (which turned out to be a bloom!) after I meditated on mine growing more big and beautiful. Air Humidity: Misting leaves regularly will improve humidity and keep it happy. Temperature: Average room temperature’s are fine. Avoid lower than 55°F/12°C in the winter. Light: Direct sunshine can damage plant leaves, but bright light is preferred. A mixture of light and shade is ideal. Yellowing leaves can be from too much sun. Soil: A peat based potting mix with perlite is ideal or other peat based mixes. Re-potting: Re-potting each spring is the usual drill. Propagation: When the plant is being re-potted the main plant can be divided and potted, to grow smaller plants. I'm a wizard with out-door permaculture, so house-plants are a new trick for me. I'm used to the "sink or swim" methodology of gardening, but with houseplants, much more care is required. In my "living big" but only inexpensive lifestyle, house plants seemed like a bit of an extravagance to me. (For more on my lifestyle, check out Living Big & Traveling Far on $8,000 a Year.) But I'm very happy to have purchased a few. They smell beautiful, look beautiful, and really give me that feeling of luxury and peace that I am often seeking.